I’m 14-years old and don’t like playing first-person shooter games like my friends – what should I do? 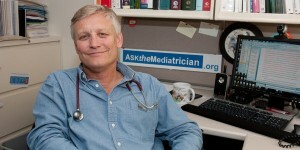 Posted September 22, 2014 under Ask the Mediatrician. Should I let my 13-year-old stream his Call of Duty gameplay? Posted August 11, 2014 under Ask the Mediatrician. How can I help children cope when their losses are being broadcast in the news? Posted May 15, 2014 under Ask the Mediatrician. How can I keep my kids from being frightened by scary media this Halloween? Posted October 25, 2013 under Ask the Mediatrician. Posted September 30, 2013 under Ask the Mediatrician. Why do different kids respond differently to media violence? Posted September 14, 2009 under Ask the Mediatrician. Q: My boys, now 15 & 17, are so different. I’ve noticed that my two kids can watch the same violent programs and, depending on each child’s nature, they respond differently. Is it true that after viewing violent programs, some children will behave more aggressively while some children become more fearful? If yes, can you explain how that happens? Any chance that some children are not affected at all?